The tiny country, Comoros of the eastern coast of Africa that few people can pinpoint on a map. 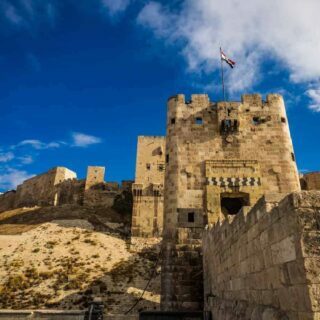 It ranks as the 179th (11th last) poorest country in the world and a true of the beaten path destination, but few places on earth have given me a bigger positive surprise when it comes to a travel destination. Amazingly friendly and warm people, world-class beaches and an underwater world, that even the most famous countries in south-east Asia would be jealous of. One of the amazing beaches in the northern part of Grand Comoro. No other tourists around. Here´s a short video from the main island, The Grand Comore. 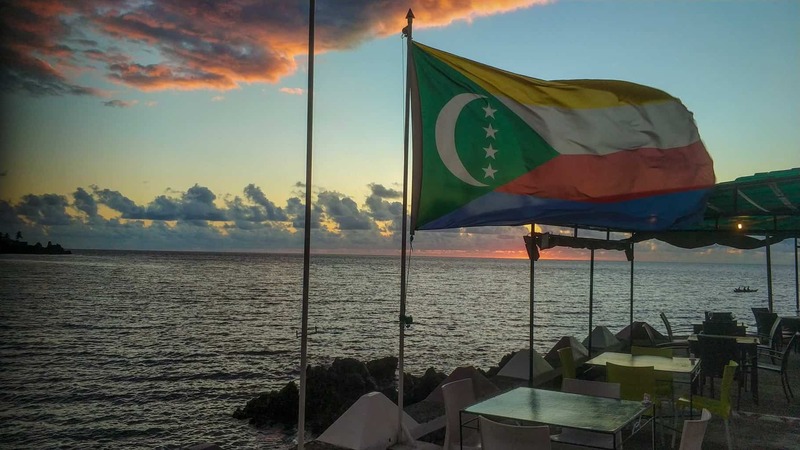 And to say it straight away, Comoros was my country nr 104 in the world, and it did definitely make it in among my top 10 favourite countries. 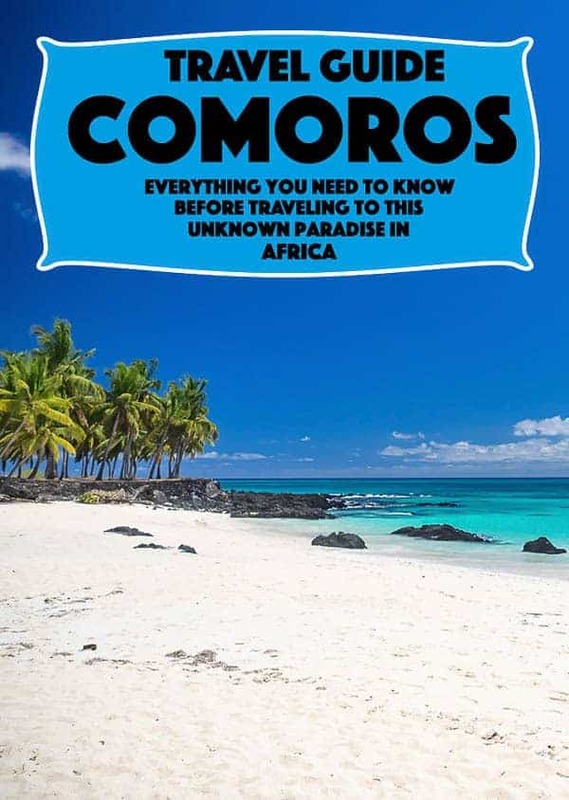 There are no English guidebooks for Comoros, and very little information online, so this is most likely the most up to date information you will find. Here´s a video I made from Moheli. All information here is from my trip to Comoros between 12 – 23 September 2017. 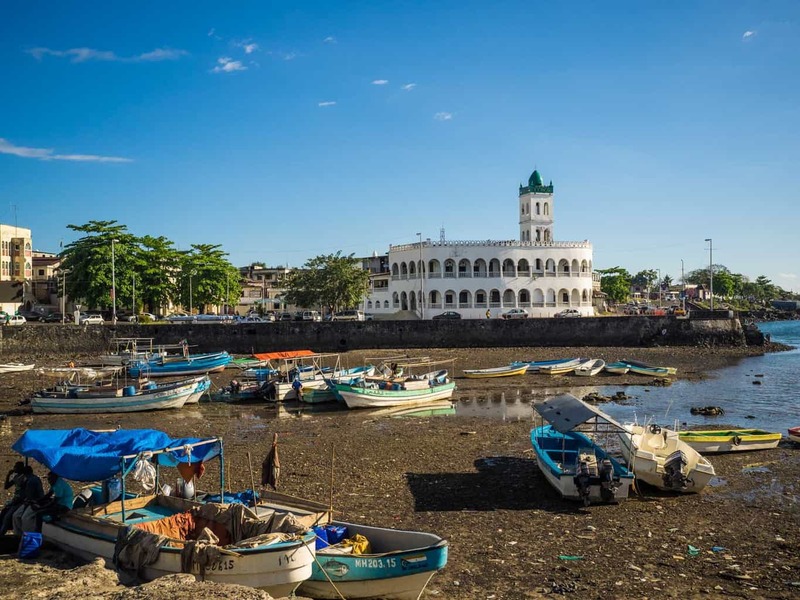 If Comoros would have been an easier destination to reach, would it be just as popular as any other island off the eastern coast of Africa, like Mauritius, Madagascar, and Schechylles. I did explore Grand Comore and Moheli during my 10day visit to the archipelago. Anjouan has to be explored on my next visit here. I’m coming back. Comoros gained independently from France in 1975. But have since then experienced more than 20 coups d’état or attempted coups, with various heads of state assassinated, the countries the first president after independence didn’t even make its second month before he was toppled in a coup. It’s been a mercenary’s heaven here for almost 30 years. Comoros was actually considered the worlds MOST unstable country up to 2008, but have since then relative stability. I felt completely safe during my whole visit, and I can from experience say that the locals were some of if not the friendliest I have met in all of Africa. If you want to read about how Moheli was almost 20 years ago in 1999, be sure to check out this post form a tourist that visited back then. Everyone can obtain a 45 days visa on arrival at the airport for 30 Euro. You will get asked for the place of accommodation and proof of a return ticket. The visa takes up one full page in your passport. The only International Airport, the Prince Said Ibrahim International Airport is located 20km north of the capital Moroni, the airport is tiny, with only one gate, so don’t expect any facilities. There´s no wifi and no ATM here. So you better have arranged you airport pickup in advance. There´s no public transportation between the airport and anywhere. You could walk outside the airport and get a shared taxi into town if you speak some French. There´s no money exchange at the airport. There´s also flights trough Madagascar, Tanzania and Reunion, but according to locals, those flights are known for being delayed. Check-in for flights when leaving open up to 5hours before departure with Ethiopian Air! The only facilities at departure is a tiny shop selling soft drinks, and a shop selling local souvenirs, it was the only place I saw any souvenirs were sold on the island. The WHOLE departure area of the airport, no wifi. And there´s nowhere to exchange the last of your local money, so you better get rid of them before leaving the capital. A taxi to/from the airport to central Moroni is 10 Euro during the day and 15 Euro during the night. There´s boat service between Moroni and Dar Es Salaam in Tanzania, when and how often it leaves, I got no idea. But there´s a ticket office in the harbour close to the Government Tourist office. I HIGHLY recommend you to the spend the night before your departure in Moroni. Transportation between the islands, both the boat and flights are often very delayed and even cancelled if bad wheater. A French couple staying at the same Airbnb as me in Moroni had lost their flight the previous day I arrived because of low tide, so the boat ride between Moheli and Grand Comore took a lot longer than expected. Local Currency is Comorian Franc (KMF). That comes in Coins: 25, 50, 100, 250 and Notes: 500, 1000, 2000, 5000 and 10 000. There´s ATM´S that accepting VISA bankcard around Moroni and one in Mitsamioul on the northern Grand Comore, I didn’t see any atm´s on Moheli. All hotels and higher end restaurants accept payment in Euro. There´s no official money exchange anywhere, but you can go to Hotel Itsandra or to the bar at SIM SIM on Itsandra beach (different from Itsandra hotel) to exchange money. Comoros is the 179th (That´s 11th last) poorest country in the world according to Global Finance Magazine. So don’t expect much variety here, you either have to go cheap and local or high end like the upper class in this country. While local food is VERY cheap, has everything higher standard to be imported, the supermarkets here is the worst stocked supermarkets I have seen anywhere in the world. Even the biggest supermarkets in Moroni is tiny. There´s no guesthouse or hostel in the country, but there´s a few Airbnb around the capital. If travelling with a partner will your budget drop to half when splitting the cost. Budget: 35 – 44 Euro for Airbnb. High-End: 90+ Euro, etc. cheapest rooms at Hotel Itsandra. Budget: 3 Euro for a chicken baguette. Middle: 6-8 Euro for pasta, hamburger etc. High-End: 14+ Euro for a meal at hotel Itsandra. There´s no bus system om the Island, so only way to get around is with taking shared taxis or hire a car with driver for the day. A shared taxi around Moroni will cost you around 250 KMF or 500 KMF to Hotel Itsandra. To Hire a car with driver (talk to your hotel or Airbnb Host) will coast 30 – 40 Euro for the full day including fuel. The road leading north from the airport is full of potholes, so don´t expect to travel between places in high speed. The road from the airport to Moroni is pretty good. The road from Moroni down south to Chindini is also fairly good. 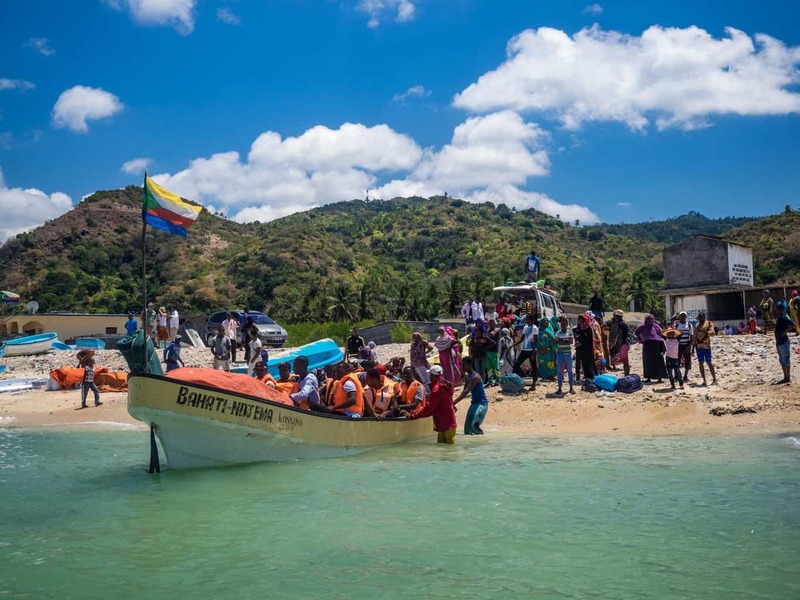 If wanting to take a “ferry” to Moheli or Anjouan will you have to head down to Chindini on the southern tip of Grande Comore, this is where all boats leave from (if good wheater). There are about four boats to Moheli a day, taking up to 2hours if the water is gentle. The price is 75 Euro Each way. A local flight is the same price but often cancelled. The Harbour of Chindini on the southern tip of Grande Comore, this is where you can catch a boat to Moheli. And YES, these small boats are you ferry for 2hours across the open sea. A “ferry” getting ready to departure from Grand Comoro to Moheli. To travel between the three islands is small open boats along the way, but be aware accidents and drownings are not unheard of. Two boats went down, and 24 died a few days before my arrival. Don´t expect much; there´s not much internet on Comoros, your best bet is to once again head to Hotel Intsandra to use their wifi, free if buying drinks. It´s a great Terrance there overlooking the stunning private beach. Or head to the “New Select” restaurant on the main square in Moroni. I felt 100% safe during my whole visit; even when walking around the capital after dark, the locals were always extremely friendly and helpful. But remember Comoros is 90% Sunni Muslims, so remember to dress respectfully, As a woman will you not have to cover your hair (you will see a lot of local women don’t do it) but you should cover your shoulders. The biggest danger here is as always the traffic when travelling around the island will you see countless of old wrecked up cars. Comoros has 3 official languages, Comorian, Arabic, and French. So knowing some French is very helpful here, even tho I found a surprisingly high amount of people knew some basic English. Seafood, seafood and some chicken. That´s more or less the menu. Most of the Grande Comore is hard volcanic rocks, so not much vegetables can grow here, so almost everything here is imported. 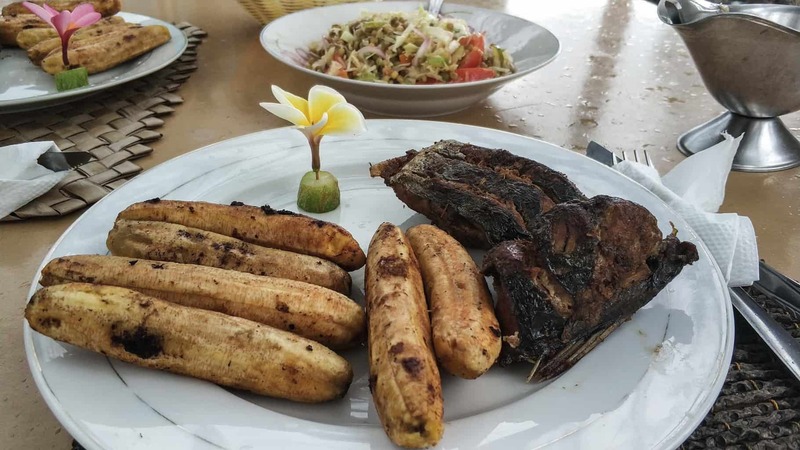 Kinda the typical food, over bbq fish and some fried bananas. Hotel Sim Sim at Itsandra beach (different from Hotel Itsandra) has pizza, good pasta, hamburgers on the menu. Resturant New Select in central Morini has a good chicken curry on the menu. Since 90% of the population here is Sunni Muslim, so is it easy to understand that alcohol is not sold anywhere in public here. I actually could never find a shop selling alcohol despite the thousands of old smashed beer cans laying on the streets. If you do get thirsty for a beer, will you take another trip to Hotel Itsandra, to Sim Sim at Itsandra beach or Le Coraya Resturant (great for sunset) all three places have a good selection of imported liquor. Sunset from the Le Coraya Resturant, a great place for sunset in Moroni. Powercuts is normal here, carrying a power bank and a flashlight is recommended. The power plugs on Comoros is the normal European style one with The standard voltage is 220 V, and the standard frequency is 50 Hz. Everything you will need during your visit here, there´s very little buy here. So if you’re forget something at home, will you most likely not be able to buy it here. I only brought my carry-on backpack only during my visit with the only extra thing being my snorkelling gear for the amazing underwater world Comoros and especially Moheli Island has to offer. What a cool and truly unknown place! So much of the world is still relatively undiscovered in our eyes. Thank you for sharing Comoros! Wow, this is perfectly in-depth! I’d never known abut Comoros. Learn something every day! Thanks for putting this together! I totally agree! The Comoros is such an underestimated travel destination. Thank you for sharing info about these precious islands. I really hope your info will reach a lot of people and make them want to go there some day. We were there in July this year after a trip to Madagascar. So if you go to Madagascar don´t miss the Comoros. Just be prepared for delays of your flight. Patience and time is recommended. And don´t miss Moheli, a wonderful place for trekking, diving and snorkeling. You can watch giant turtles arriving att the beach at night laying their eggs. Just as you mentioned too, some French is good to know when you´ll have to negotiate about prices. At least try to learn the numbers in french 🙂 There are very few tourists so you´ll have the great beaches more or less by yourself. A very well written guide on Comoros. Reminded me of my visit to Moroni enroute to Johannesburg from Dubai in May 1999. I follow your travel blogs. Regards. Thank you so much for this good information! I am researching as I have applied for a Peace Corps position in Comoros in 2019. I haven’t been accepted yet but will know within the next couple months……! So I’m doing all the research I can so I have a better idea of what I’d need to bring with me and what to expect. Thanks so much. 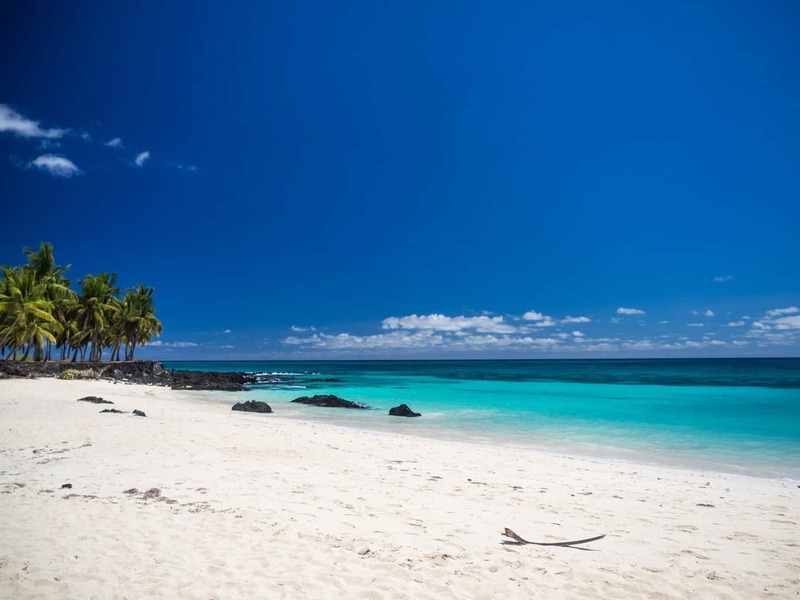 Where in the Comoros will you stay? I remember I meet a girl from the peace corps on Moheli, Moheli is paradise btw 🙂 you need to bring absolutely everything with you that you gone need during your time in Comoros, shopping is extremely limited, there’s two big Indian supermarkets in Moroni but that’s it, but don’t expect to find anything except basic stuff. Hello Chris, i am now, januari 2019, on Comores. It is in this time of the year too hot here. Same for Mayotte and West Madagascar with places as Morondava. So European winter is not the right time to visit this area. For you as beerlover i have good news. , Just outside Moroni, on the mainroad direction north, airport, next to shop Sawaprix ( is on Mapa.me) is Nicom 7/7. This is the local liquoir store with all sorts of beers and spirits from all over the world. And with Ewa air is easy and cheap flying from Mayotte. I paid €188 for single trip from Mayotte to Moroni. Thanks for all the great information. planning a trip in April 2019 to Comoros. Many travel blogs talk about snorkeling on Moheli, but nothing close to Moroni. There have got to be some awesome reefs close by, is it best to merely barter a trip with a local fisherman for a few hours a day or talk to the hotel operators? Any tips or a contact would be appreciated. Sorry for the late reply, I’ve been travelling a bit remote last 2 weeks, without any reliable internet connection. There´s some good snorkelling just outside the Golden Tulip hotel, that´s also where the only dive centre on the island is located. I always bring my own snorkelling gear on every trip, and I did a bit of snorkelling around the Golden Tulip, you just walk off the beach here. So no need for a boat.